The Aggies regressed after a week off. What had been building leading up to this week is now hinting at the same old question. 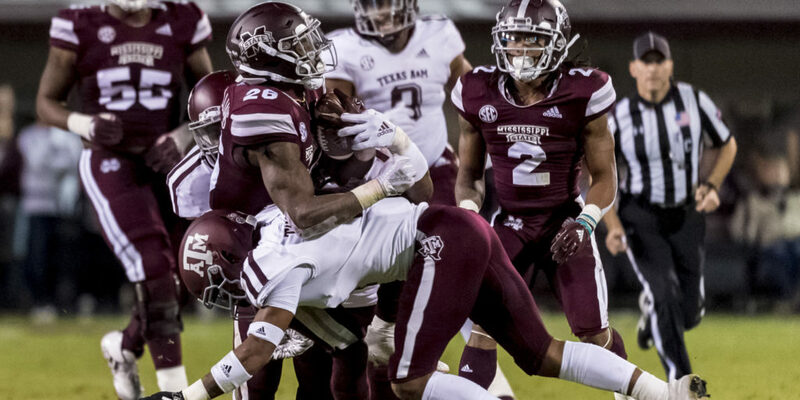 Just when you thought Jimbo Fisher had brought a new direction and a change to recent late-season collapses, the Aggies lay an egg in Starkville, losing 28-13 to the Bulldogs. 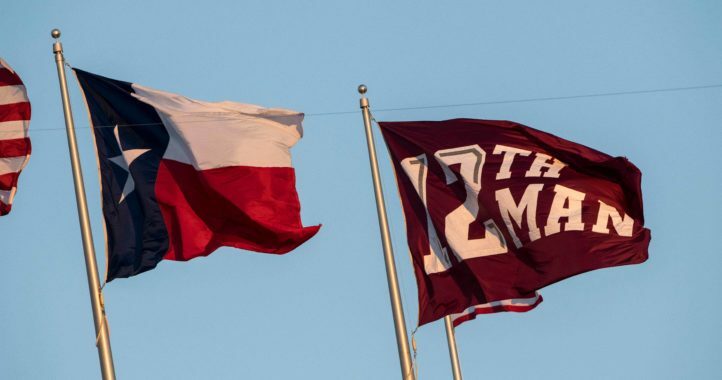 Texas A&M is right back to losing late in the season to teams they probably shouldn’t. There really wasn’t much to like about the game. Mississippi State harassed quarterback Kellen Mond all night, and that made putting together any kind of offensive consistency impossible. Here are three things I liked about Saturday’s performance, and five more that need to be improved upon. Negative plays by the defense: Defensive tackle Daylon Mack was certainly a force in the middle of the line, and the Aggies were often able to disrupt the Mississippi State offense with sacks and tackles for loss. Mack was one of eight Aggies credited with tackles for loss, with middle linebacker Otaro Alaka leading the way with 2. The Aggies also sacked Nick Fitzgerald 3 times. Freshman running back Jashaun Corbin: Explosiveness is one adjective used to describe this big, bruising back. The freshman got a taste of big-time college football, rushing 3 times for a team-high 33 yards, including a 28-yard jaunt. He displayed his versatility by catching 2 passes out of the backfield, good for 13 yards. Corbin is definitely a player to keep your eye on and one who looks to have all the tools to be a great one. Use of the screen pass against aggressive Bulldogs defense: About the only way the Aggies slowed down the Bulldogs’ defensive onslaught was with the screen pass. It produced their only touchdown of the game, a 34-yard pass from Mond to Quartney Davis. It was one of the few successes from the Aggies’ playbook on Saturday. Mond’s inaccuracy: Mond appeared rusty after a week off. He missed a wide-open Davis early in the second quarter that would have been a touchdown. He was off target on short routes as well. Granted, he had pressure throughout, but even when he was afforded a clean pocket, Mond couldn’t connect. His final stats perhaps don’t reflect it: Mond threw for 232 yards, completing 23 of 46 passes, but those numbers could have been a lot better. Jace Sternberger dropped passes: The usually reliable Aggies tight end dropped several key passes, and on one play he appeared to run the wrong route, leaving two receivers in the same area and disrupting what could have been another big gain. Sternberger caught just 2 passes for 13 yards and was not a factor in the game. 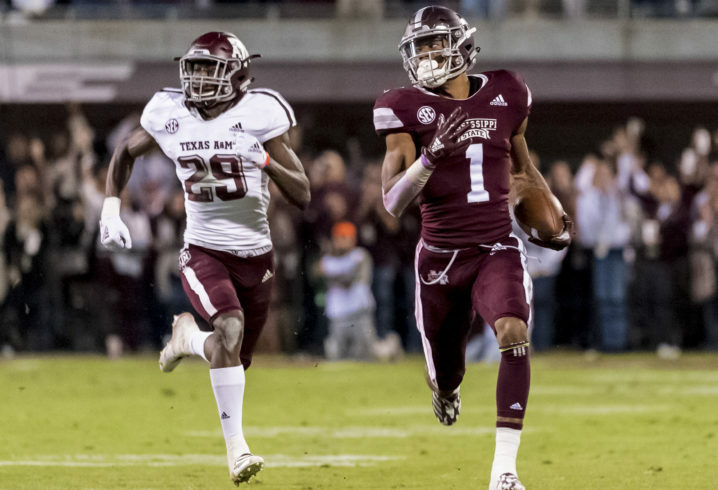 Receivers left open: On several occasions, the Aggies secondary left Bulldogs receivers in the clear. Sure, it was without leader Donovan Wilson, who was ineligible for the first half because of a targeting penalty in the previous game at South Carolina. The Aggies could not cover Bulldogs receivers Osirus Mitchell or Stephen Guidry. Mitchell caught 6 passes for 96 yards, including a 38-yard touchdown. Guidry grabbed 3 for 130 yards, including an 84-yarder. Third-down problems: The Aggies defense came into the game ranked second in the nation in holding opponents to just 22.8 percent effectiveness on third down. But Mississippi State converted on its first 4 third-down situations and drove for a touchdown on its opening possession. The Bulldogs were highly successful on third down, converting 7 of 12 opportunities. No running game: The Aggies’ run game has steadily regressed since conference play began. They managed just 61 rushing yards on Saturday, fewest since they rushed for 55 against LSU last November. 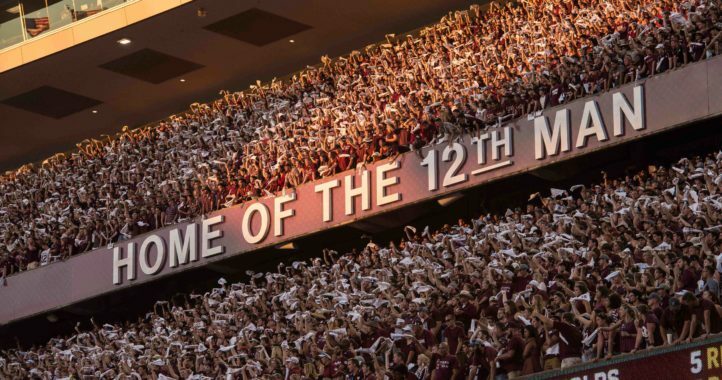 The Aggies ran for 176 against Arkansas, but that total dwindled to 164 against Kentucky and 105 against South Carolina before dipping below 100 on Saturday. It is the same problems. O line, DBs and receivers not ready for prime time. Blocking/pass protection, not making plays on the ball and just a half step behind with the DBs, 10 dropped balls by receivers. That’s not getting it done against teams like Clemson, bama, Miss State, and probably one or two more in November. I’m extremely happy with the things Jimbo has done but the experience/talent level just isn’t there yet. Hats off to them, they whooped tail! I’m disappointed in Fisher and the running game. We knew with Mond and the inexperience at WR we would have to win games by TOP and holding on to leads. This team isn’t built to get behind and comeback. The running game killed us and was nonexistent. We better shape it up fast, or the Nosedive November narrative is coming! My a**! Show us something coach! I really think it’s as simple as Fitz getting it together at an innoportune time against us when our secondary is subpar to say the least. It’s clear Fisher came in with a “stop the run and force Fitz to beat us with his arm” game plan. It wasn’t a bad plan considering the way State had been playing the past few weeks. The problem is that Fitzgerald finally got it together. We all knew our secondary was the weak spot this season and the main reason for expectations to be somewhere around 4-5 losses so it shouldn’t really be surprising. I do wish Elko would have made better adjustments once it was obvious our secondary was getting torched and my only knock on Fisher is that I think he went one dimension way too early when abandoning the running game. That’s been our bread and butter and playing from behind shouldn’t have changed it in my mind. Both Elko and Fisher didn’t make adjustments. We should have applied more pressure. We also should have stuck to running the football when it was clear as day that Mond was the new Fitz. It was if they had a Freaky Friday moment and switched places. Mond looked lost. We had WRs that were running open, dropping passes, offensive linemen being neutralized on running plays. It was just a mess. lol I slowly feel my BAS coming back! I was surprised at the lack of adjustments. It almost seemed as though the coaches were as shell shocked as the players by how State was playing. Let’s just hope it’s a lesson learned all the way around.